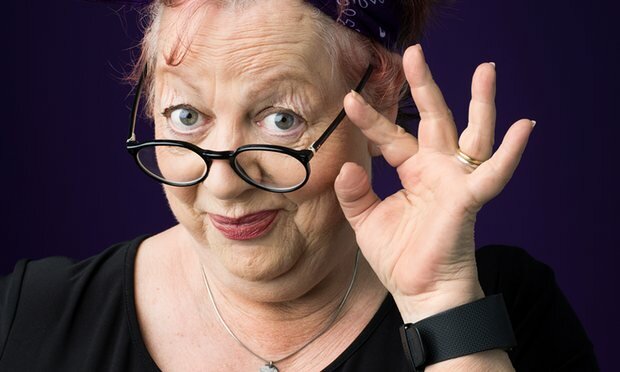 Actress, comedian and writer Jo Brand will co-write and co-star in “Damned.” Photo courtesy of The Guardian. Channel 4 in Great Britain this month began filming episodes of “Damned,” a six-part comedy series about social workers featuring actress, comedian and writer Jo Brand. The series will be based on a one-off comedy that aired in 2014. In the series, Brand and Alan Davies will co-star as social workers in a child services agency who must balance their personal lives with their demanding work and agency budget cuts. Brand, 58, whose mother is a social worker, is co-writing the series. She said in this article in The Guardian that she wants to make people realize that social work is a difficult, underappreciated profession. “As the daughter of a social worker who worked for many years in child protection, I grew up seeing social workers go unrecognized for the good things they did and castigated for the bad,” she said. You can watch a clip from the 2014 comedy program that “Damned” will be based upon. And to learn more about the many services social workers provide visit the National Association of Social Workers’ “Help Starts Here” consumer website. OMG……I am so happy CONGRATULATIONS….looking foward on viewing it over here in Puerto Rico.